PRO HOOD CLEANING offers professional, specialized restaurant hood cleaning service for commercial kitchens in restaurants, hotels, schools, hospitals and cafeterias throughout Central Texas Area Including Austin, Round Rock, Georgetown, Cedar Park, Hutto, Manor, Kyle, and San Marcos. Our office is in North Austin and we love restaurants and commercial kitchens in Cedar Park! 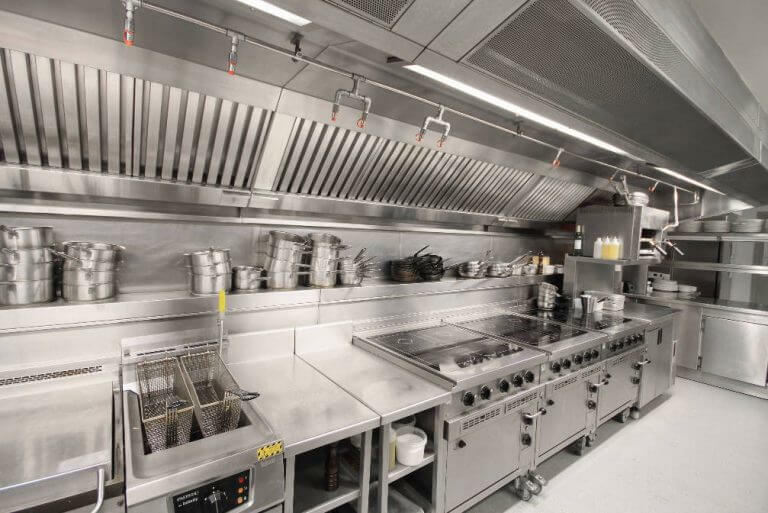 We provide certified kitchen exhaust system cleaning in accordance with NFPA 96 fire codes and in compliance with all Central Texas fire departments. Additionally, our certified restaurant hood cleaning services will satisfy insurance company requirements for required periodic cleaning of the kitchen exhaust system & ventilation hoods. 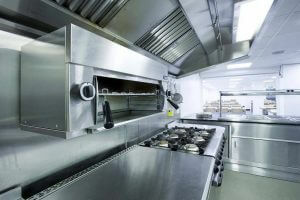 We also offer restaurant equipment cleaning, steam cleaning, pressure washing for concrete sidewalks, loading dock and dumpster areas, exhaust fan preventative maintenance, filter replacement program, exhaust fan hinges, rooftop grease containment, and COOKING OIL FILTRATION, but we specialize in Exhaust Hood Cleaning first and foremost. PRO HOOD CLEANING proudly services Cedar Park TX & all of Central Texas and is fully insured, bonded, certified and licensed. PRO HOOD CLEANING separates itself from the competition in Cedar Park by inspecting and cleaning the entire system beyond the hood. Our restaurant hood cleaning service ALWAYS includes the fan(s) on the roof, all accessible duct from the roof to the kitchen exhaust hood, the interior and exterior of the exhaust hood, and the grease baffle filters. When areas of the exhaust system become contaminated with grease, a properly trained, qualified, and certified exhaust cleaner must inspect and clean the entire system in accordance with NFPA Standard-96, including every inch of the ductwork and the exhaust fan on the roof. Aside from checking the work yourself, photos are the best way to ensure your exhaust system is being maintained and properly cleaned. To give you peace of mind that your kitchen exhaust system has been cleaned to the highest standards we provide digital before and after photos of the entire system. In addition, our crew will take digital photos of the roof area around the fan to help identify potential problems with your roof when we do your restaurant hood cleaning service. I know. As a restaurant owner or manager, keeping costs down is very important. So, I’m sure you’d like to know up front, what it costs to get your restaurants hood and exhaust system cleaned. But because of the different types of hood systems, and the possibility of dealing with older kitchen hoods that have not been maintained well, pricing without inspecting would be crazy. We really need to see the project to give you a fair and fairly accurate estimate. There’s probably some hood cleaning franchise out there that gives a flat rate estimate and the set price could be just enough to get the job, but not enough to encourage a good job. We don’t want to be those guys. We want to be the restaurant hood cleaning business that you call time and time again because you know that we do excellent work at a fair price. 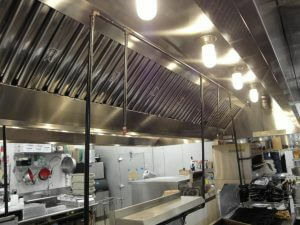 The simple answer is: We clean the hood ventilation system from stovetop to rooftop. We have the gear and the expertise to get every nook and cranny in-between. And we do a full on inspection with pictures so that you can see that you’re in compliance. Don’t ever fail a fire or health inspection because of hood grease. We will get it all. Details: In an average kitchen, we can get in, get set up, and do the complete cleaning in about 2 hours. This depends on access to the duct work though. If you don’t have proper access panels, it can take longer, but we’ll still get it done. And we can give you a quote on getting the right place for access panels to make it go easier next time. Once the cleaning is done, we do a final inspection. We look at your hood system with the scrutiny of a fire marshall. When we are confident that we have given you a superb kitchen hood cleaning certification, we then roll up our stuff and let you get back to work. At this time, we will also report to you anything that we took note of that could be an issue for you. Nothing left for you to do - but jump back in under your spectacular shiny hood! Using the right chemicals is very very important. At Pro Hood Cleaning, we proudly use chemicals that are the least dangerous but fastest acting. 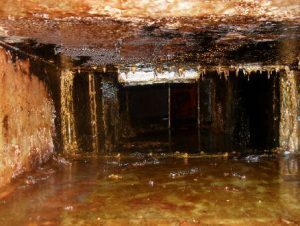 Cutting through grease is not rocket science, but keeping your employees and clientele safe is more important than rocket science. We use metabolic chemicals that are very safe to use and allow us to do restaurant vent hood cleaning at a molecular level. Yeah. I went there. To the molecular level! We report our findings to you in our After Service Follow Up Report. Each time we clean your kitchen exhaust system you will receive a detailed report of our service including digital photos of our work (on request), any items that must be corrected to comply with codes and any suggestions we have for maintaining your system at peak efficiency. This report provides verification that the work performed followed standardized procedures for ensuring that the cleaning process meets or exceeds all provisions of the NFPA 96 code, fire and Cedar Park health department regulations, insurance company requirements and all applicable federal state and local laws. You could analyze hood cleaning companies in Austin & Cedar Park TX until you’re old and gray. Or, you can call us and talk it over. Because we want to find out about you. One of the great things about running a successful restaurant hood cleaning service is that we get to help awesome people to keep fantastic kitchens running well, but also, we get to meet so many awesome people in the Austin area. And truly, when it comes right down to it, we care about the people. So, try us out. I’m sure that you’ll like us as much as we like you.